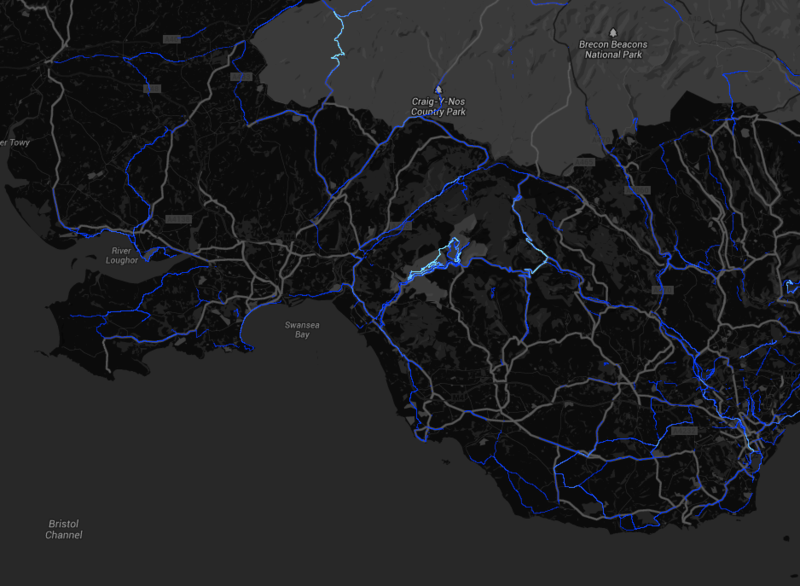 James Greig, head of design of the fantastic Vulpine cycling empire linked to this dataviz by Strava of a typical Saturday’s rides worldwide. But what caught my eye was when I scrubbed the time-line selector back to the early hours of the morning, instead of a blank map I saw a single bolt of blue start to shoot out of London toward the Suffolk coast. 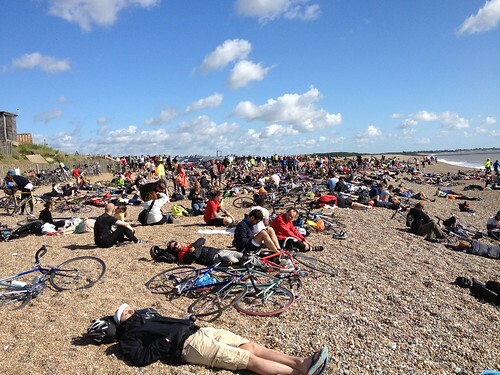 It must be the Dunwich Dynamo! …toward that refreshing dip in the North Sea at Dunwich. 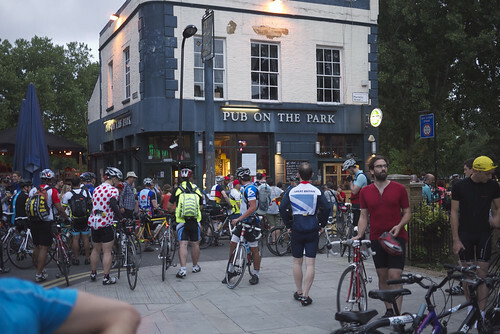 Here’s a little animated gif I made of that bolt of brave people peddling through the night to the sea.